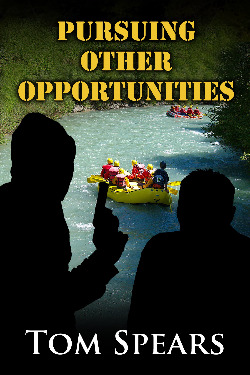 Just a Corporate Retreat with a trip rafting down the river...until something goes terribly wrong. Elwood Vilmont, hypercompetitive businessman, and the CEO of Redhouse Consulting, has brought his senior managers to Layoko Lodge for a “team building” exercise. As a part of the agenda, the group plans to spend three days rafting the Chilko river, including running the famous White Mile. Vilmont’s crew of misfits, however, seem to be able to do little but whine and complain. When their CEO is unexpectedly kidnapped, the senior managers of Redhouse waste no time in leveling accusations at everyone, including each other. Matt Lively, who witnesses the kidnapping, sees little alternative to plunging into the harsh British Columbia wilderness in pursuit of the criminals and their prisoner. Sandy Lively, watches police descend on the Layoko Lodge like a horde of locusts. She hopes beyond reason that somehow her past – including the outstanding warrants in Minnesota for espionage and murder – will somehow escape the watchful eye of Royal Canadian Mounted Police detective Jari Kuparinen. But the situation progresses from bad to worse as an old enemy shows up from Sandy’s past, raising the stakes for everyone involved. Will she ever see Matt again? Will Kuparinen discover her secret, arrest her, and turn her over to the FBI? Or would she simply be the next murder victim in a bloody series of killings? PURSUING OTHER OPPORTUNITIES mocks the "team building corporate retreat" so common in large corporations. It also explores the corrosive political environment present in the higher echelons of many large companies, and describes what can happen when an unexpected vacuum occurs within that structure. Finally, PURSUING OTHER OPPORTUNITIES explores the difference that one or two truly brave people can make when the world seems to be crashing down around everyone's ears. I've tried to provide a variety of typical senior management "types" that the corporate refugee will find familiar and entertaining. PURSUING OTHER OPPORTUNITIES is available for sale now! "This is the sequel I’ve been waiting (rather hoping) for Tom to write ever sense he first released “Leverage”. Matt Lively a.k.a Mark Carson has been struggling to find a stable life, one where he doesn’t have to live in fear of being found or captured by the FBI. But as saying goes “no good deed goes unpunished.” While trying to do the right thing Mark finds himself right in the middle of another corporate thriller. Tom’s story lines, twists and turns just keep getting better with each new novel. In the case of “Pursuing Other Opportunities” just when I thought I’d figured out the “insider” I was proven wrong in the final chapters. 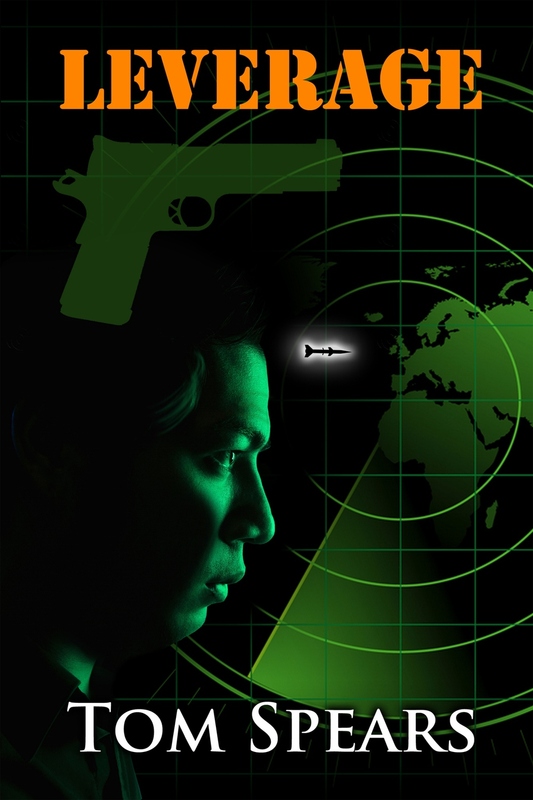 A great read and as others have said you’ll have a hard time putting this thriller down." thrilling. His attention to detail puts you in the non stop action. "I really enjoyed this book. The characters had me laughing out loud, as they related so well to real people from my corporate experience. The pace of the book is very comfortable, as the various plot lines are woven together quite skillfully. The climactic scene, in which all of the major characters converge at a single location, is action packed, a total page turner, and very satisfying. Well worth the read." Don’t let the cover fool you. Pursuing Other Opportunities is a great ride that grabs you early and keeps you guessing along the way. Good character development helps to get you involved early and rooting for, or against, a variety of people along the way. 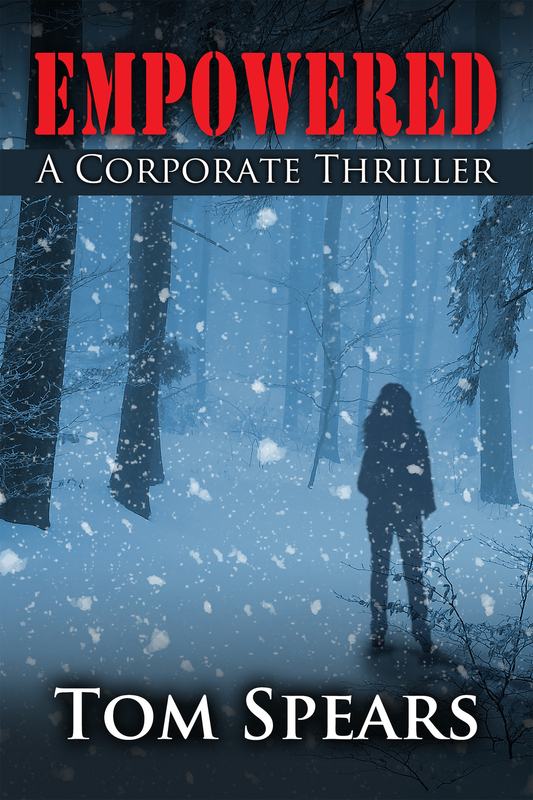 The story focuses on a kidnapping taking place in the midst of a high-powered corporate retreat deep in the Canadian wilderness. Before the book is done, you will be working hard to get to the end to see who did what, and why. My first read of a book by Spears, and it definitely holds up to the works of the normal best sellers I tend to read in this genre. I am looking forward to finding one of his earlier books now." "As with previous books by Tom Spears, there will be action, plot twists, drama and, of course, a little blood! This is the sequel to Leverage, which I would also highly recommend in addition to this book. 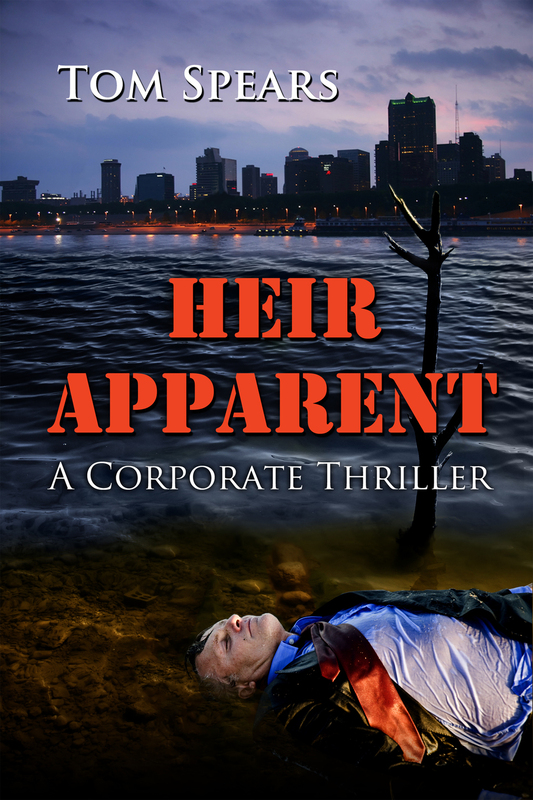 I enjoyed the concept of taking a group of cutthroat corporate executives and seeing just how far they would go given the right motives and opportunities. The characters were well developed and you will find yourself cheering the least tainted ones on and enjoying the demise of the others. Overall, this is a good read with a satisfying conclusion. Just don't expect perfect justice to prevail. This is a story about corporate life after all." 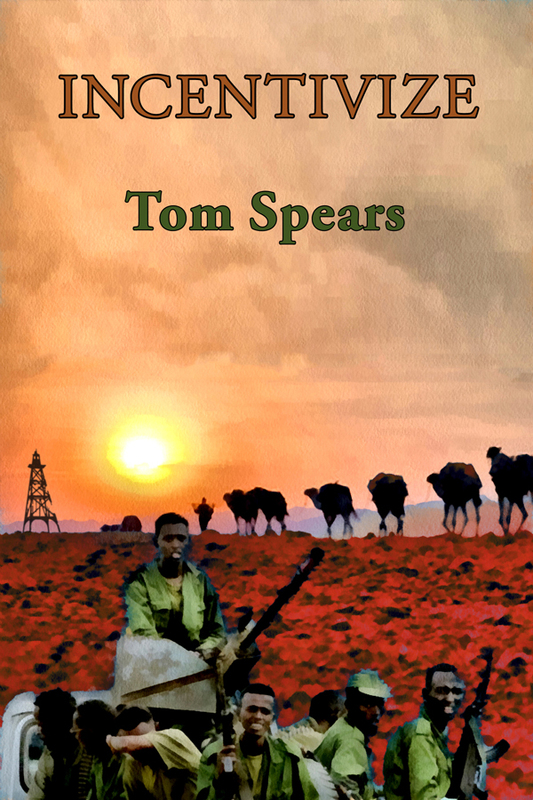 "Tom Spears has written another thriller with Pursuing Other Opportunities. His combination of corporate intrigue, kidnapping and murder is just the right mix for this page-turner! Well worth adding this new Spears novel to your reading list." "I loved the characters in this book. What a work environment! It captures the best and worst in people. As with Tom's other books, I couldn't put it down. I bought it to read on business trip and ended up reading the whole thing before I left! I liked the continuity of the characters from previous books but not necessary to read the previous books. This booked earned 5 stars!" "Tom Spears has done it again. PURSUING OTHER OPPORTUNITIES is a fast paced, easy to read, exciting thriller. Like all of his books, this one contains fascinating twists and turns. Once you pick this book up, you will not put it down – it will keep you guessing on every page." 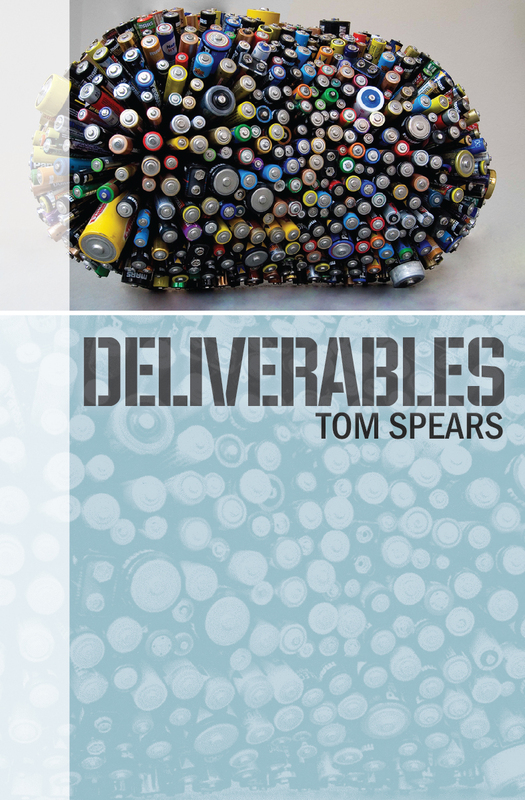 "Spears has a knack for capturing the political pitfalls of corporate life on the pages of his books. Here he doesn't disappoint, and takes the boardroom to the back country of British Columbia. In the process, the reader is introduced to a wide cross section of characters, far removed from corporate culture, all the while spinning a fast paced tale with countless plot turns. Highly recommended!" 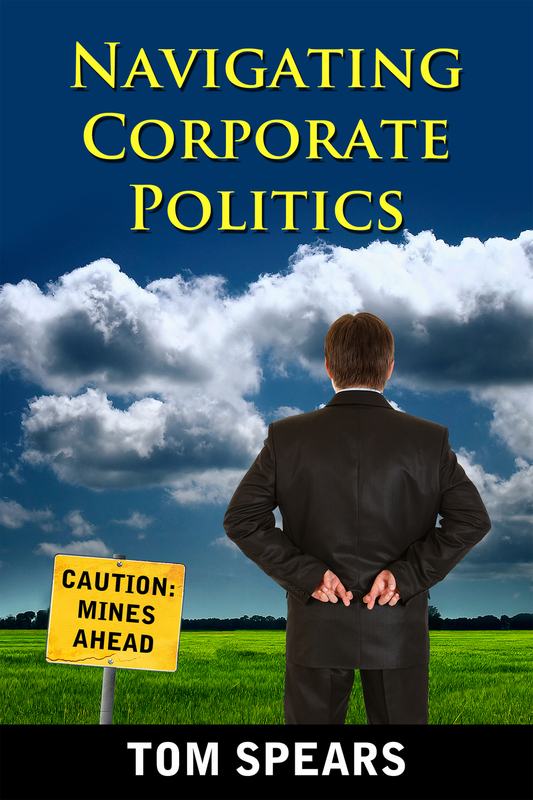 "From the first page, Tom Spears draws you in to his world of corporate politics, intrigue & mystery. You are kept there through a thrill ride of twists & turns, action & plot twists. The characters are well developed, and, whether you've worked in a corporate environment or not you can almost picture people in your world that you can relate them to." "Enjoyed the story line, and kept you guessing on who was the actual insider. The involvement of Mark Carson (Matt) was especially thrilling. Hopefully there is another novel on his search for Cathy Chin (Sandy)." "Tom Spears has led us nicely into stage two of Mark and Cathy's world. I could not put this down- with the non stop back stabbing corporate world that Tom has put us in. Fun characters to follow trying to figure out who has the knife in who's back at the moment-I hope we get to find out where Mark and Cathy turn up next-"
"Ah, the good life... the corporate life! After being in that world for 30+ years, I can certainly relate to the personalities explored in Spears' book, albeit most of them in my world were perhaps not nearly as interesting as his characters. This is one of those proverbial "can't put it down" books with interesting twists and turns, very well written with colorful descriptions that enable you to visualize each situation and live in that moment - highly recommended!" "Tom has a unique gift for storytelling combined with his experience as a corporate executive. Anyone that has climbed the corporate ladder can relate to the characters and personalities in Pursuing Other Opportunities. The story is fast paced and keeps you guessing as to who the real "bad" guys are." "Pursuing Other Opportunities has the action, plot twists and strong characters that make this book a winner. Loved the setting, and anyone who has ever had to grind through a "team building exercise" will thoroughly enjoy the all too real co-workers portrayed here. Kidnapping, murder, secrets, Royal Canadian Mounted Police, enemies and flying accusations, what's not to like! This was a great read but I won't ruin anything by hinting at any of the twists. Corporate life never seemed so exciting!" "Just as I thought I knew what was going to happen, I found out differently. When I was not reading it, I remember myself going over the last few pages in my head calculating the villains next steps. The characters from Redhouse even seemed like teammates from my past! Great read for the mystery lover." "I like the way Tom weaves a believable corporate drama into a non stop thriller. With just enough character and scenic development to give you he feel of sloshing around in northwest Canada, Tom balances the backdrop with the forefront in a nicely written adventure!" "Good read! Nice to read another book in a series with some familiar characters. Enjoyed the parallel plots as the characters are developed throughout the story. No glory at the end for the characters but I'm sure they will return in the next book!"